How Do You Change Your Password on Facebook: Facebook password is what actually gives you access to your account, without your password, you will be unable to chat with friends, make posts, pictures or even comment on other people’s post, you virtually lose access to your FB account. So to avoid this and resist hackers from gaining control of your account, it is better to regularly change your Facebook password. Click the downward pointing arrow in the top right-hand corner of the Facebook page. To the left of the new page, select Security and Login. When you locate it, simply click Change password. Enter your old password in the box provided for old password. Do not use English words directly. 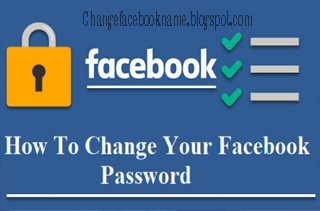 With this guide on How to Change your Password on Facebook, you are guaranteed to properly secure your FB Account with regular update on your FB Password.